Surprise, surprise. Shawna Forde [pictured at top right], leader of the Minuteman American Defense group (M.A.D. ), a group known for patrolling the border, and is dedicated to "Defending America's Borders" was arrested for home invasion and the double homicide of a 29 year old male and 9 year old girl. Jason Eugene Bush, 38, Shawna Forde, 42 and Albert Robert Gaxiola, 43, were all taken into custody and charged in connection with the murders of 29-year-old Raul Flores and 8-year-old Brisenia Flores. Both were killed during an alleged home invasion. According to authorities, Bush, Forde, and Gaxiola broke into the home of the Flores family just after midnight on May 30th. At the time, the mother, father and daughter were home. The invaders reportedly shot the three members of the Flores family, killing the father, Raul, and the daughter, Brisenia. The invaders then left the scene. The mother survived the shooting, called police, and found a gun. Sheriff Dupnik says the three returned moments later to make sure everyone was dead. At that point, the mother shot and injured Bush, and the three fled the scene. The trio has been charged with two counts of First Degree Murder, one count of First Degree Burglary, and one count of Aggravated Assault. Pima County Sheriff Clarence Dupnik says, "Jason Bush was in fact the shooter of all three of these people under orders from Ms. Forde." Sheriff Dupnik adds, "To just kill a 9-year old girl because she could be a potential witness, to me, is one of the most despicable acts I have ever heard of." "If you look at her history closely, and you know what we know, she is at best a pyschopath," says Sheriff Dupnik referring to Forde during a press conference Friday. UPDATE: From Arizona, here's local news coverage of the horrible crime. The group's Web site, which does not appear to bear any mention of Jason Bush, places the group as actively involved in the "tea parties" which swept right-wing media around tax day. Hmm, an anti-immigrant xenophobic, described by police as a pyschopath, was involved in a despicable act of violence AND is a leader of a anti-immigrant group that's actively involved in tea-parties? See how the governor's budget proposal will effect you! As Gov. Rowland-Rell and the Republicans continue to spin their ridiculous rhetoric regarding their unlabanced budgets that target the middle-class, today, the Senate Democrats launched a new interactive Google budget map, which highlights how the governor's proposed budget will impact every municipality in the state. Since MOST people haven't taken the time to actually READ the governor's UNBALANCED proposal, maybe this map will serve as a wake-up call. Democrats in the legislature have proposed more than $2 billion of spending cuts. Governor Rell is also proposing significant cuts — but a large proportion of these will directly impact children, small businesses, education and public health. For those who think the governor's plan is so "wonderful" for the city, go to the map, click on Danbury and see what Jodi has in plan for us. These cuts would come on top of other cuts in municipal aid or flat-funding of programs that our cities and towns rely on. The Educational Cost Sharing (ECS) grant, which is the largest portion of state aid for local education in Connecticut, would be flat-funded for the two year budget. In addition, other programs such as the PILOT (Payment-In-Lieu-of-Taxes) Grant, which helps cities and towns make up for tax losses for tax exempt properties such as state property, hospitals and universities, have been reduced as well. These cuts, along with elimination of funding for our libraries, will put a strain on our municipalities. When you hear the Republicans in the legislature (and the conservative talking-heads in the local media) LIE to your face about how GREAT their budget proposals are while chastizing Democrats, just keep this in the back of your mind. It's been over a week since the News-Times' Dirk Perrefort published this astonishing quote from Mayor Boughton in which he states that individuals were "discouraged" from applying for the position of principal at Danbury High School. allowing the person accused to the quote, an opportunity to respond to the charges. Since it seemed that Perrefort was not going to publish a follow-up to his initial article, I decided to take things into my own hands. 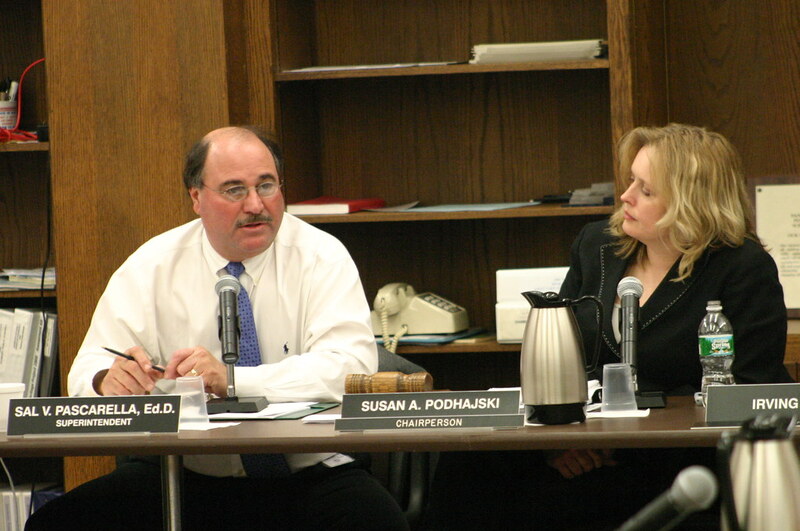 Last night, I attended the Danbury Board of Education meeting and interviewed chairwoman Susan Podhajski and School Superintendent Sal Pascarella. In the following audio clip, I gave Podhajski and Pascarella an opportunity to respond to the mayor's accusation. For those who say there isn't any good musical talent in Danbury, this new festure of HatCityBLOG is for you. From time to time, I'll do shameless plug on local musical acts in the area. First up to bat is the group Neil Boys Beach Diamond. Board of Ed restricts free speech? In advance of tonight's Board of Education meeting, I decided to take a look at the agenda and noticed this small blurb. The Board welcomes Public Participation and asks that speakers please limit their comments to 3 minutes. Speakers may offer objective comments of school operations and programs that concern them. 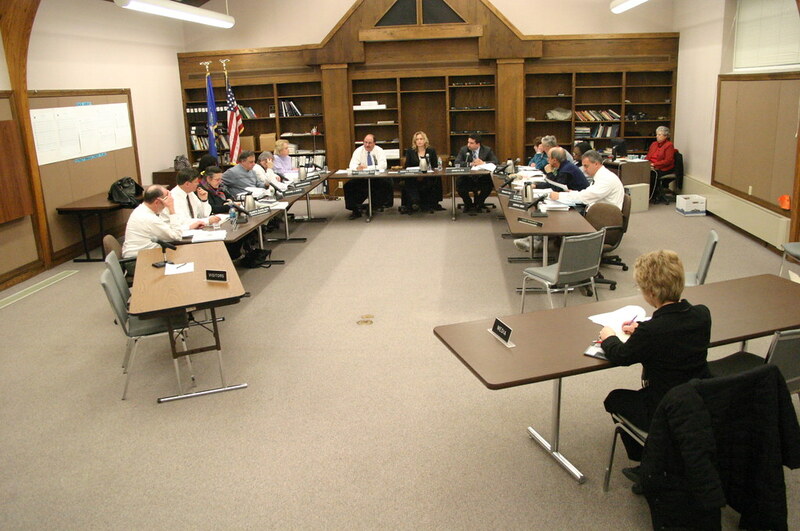 The Board will not permit any expression of personal complaints or defamatory comments about the Board of Education personnel and students, nor against any person connected with the Danbury Public School System. This can't be for real. The Board of Ed will NOT allow any form of criticism about the Board of Ed a member(s) of the Board of Ed and/or a member(s) of the school system? Based on this bizzare wording, I guess any expressions of praise about board personnel, personnel and students, nor against any person connected with the Danbury Public School System WILL be allowed. In light of recent questionable decisions by the school board, this restriction on free speech doesn't seem right...or legal. 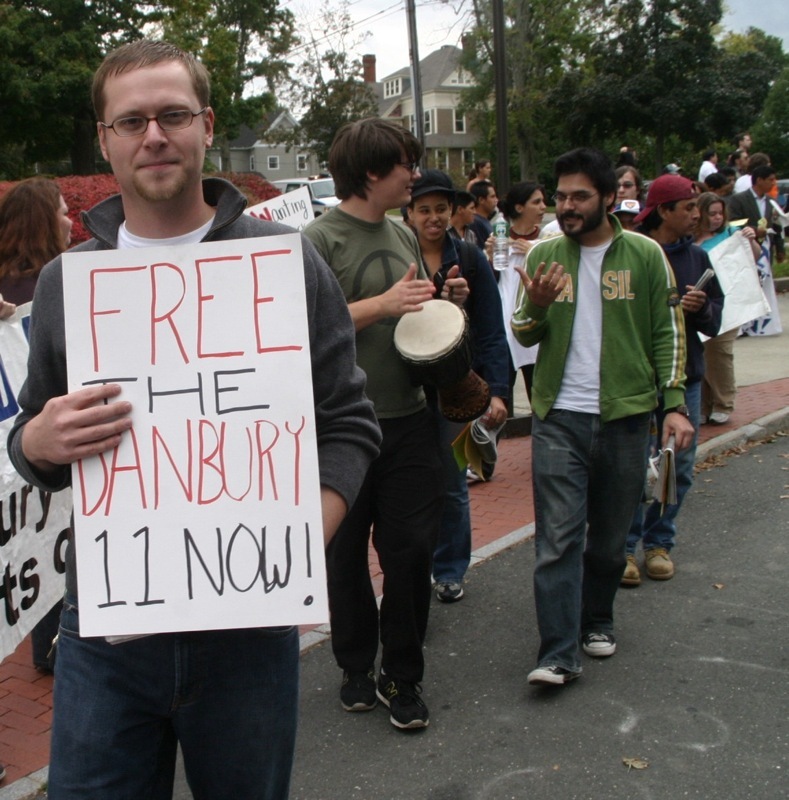 UPDATE: Post has been updated to more accurately reflect my position that the BOE is restricting members of the public from criticizing members of the Board of Ed or anyone connected with the Danbury School system. If you're not doing anything on Tuesday nights, check out the local access show "Spotlight On" at 9 PM. Hosted by Bob Brought Jr., most of the episodes focuses on historical video footage ranging from the 1940-70s. When it comes to HOW Brought gets his hands on this footage...well, I'm not going to give away his secret. Lets just say that watching his archive of historical stuff as pretty cool. Here's an episode from 5.13.09 where he shows footage of pre and post flood Danbury. I'm also blogging for the News-Times/Hearst Media Group. Although I'm only posting one or two write-ups a week there, trust me when I say that the postings will be VERY informative. Make sure to check out my piece of real estate on the News-Times website! Exposing the incompetence...and a call to action! Exposing the incompetence of City Clerk Jean Natale continues. As a stated earlier, City Clerk Natale has VIOLATED STATE LAW (as well as WASTED 5,000 of taxpyaer's dollars) by placing a TWO PAGE ad in the May 3rd edition of the News-Times outlining the proposed changes to the city charter...an ad which, according to state statue, was published 30 DAYS LATE. Disregarding state law is nothing new to Natale...which has been well documented on this site in the past...the difference here is that in this case, Natale's incompetence has cost the taxpayers of Danbury thousands of dollars. Unfortunately, to the anger of many, this latest screw-up from the city clerk has yet to be reported by the News-Times...and trust me, they are well aware of Natale's latest fiasco. During last month's Democratic Town Committee meeting, Minority Leader Tom Saadi addressed this situation, the News-Times failure to report on the topic, and why the latest act of incompetence from the City Clerk further underscores the fact that the position should be eliminated. Connecticut State Statue Sec 7-191(D): Charters, charter amendments and home rule ordinance amendments: Hearings; draft and final report; public notice; referendum; effective date; filing of copies with Secretary of the State; file maintained by State Library. Not later than fifteen days after receiving the final report, the appointing authority, by a majority vote of its entire membership, shall either approve the proposed charter, charter amendments or home rule ordinance amendments or reject the same or separate provisions thereof. Not later than forty-five days after a vote of the appointing authority to reject such matter, a petition for a referendum thereon, signed by not less than ten per cent of the electors of such municipality, as determined by the last-completed registry list thereof, and filed and certified in accordance with the provisions of section 7-188, may be presented to the appointing authority. Not later than thirty days after approval by the appointing authority or the certification of such a petition (1) the proposed charter shall be published in full at least once in a newspaper having a general circulation in the municipality, or (2) the portion of the charter or home rule ordinance being amended shall be published at least once in a newspaper having a general circulation in the municipality with a notice that a complete copy of the charter or home rule ordinance and amendment is available in the town clerk's office and that a copy shall be mailed to any person who requests a copy. The town clerk shall mail or otherwise provide such copy to any person who requests a copy. In closing, the News-Times has a responsiblity to report on topics such as this. If everyone is so outraged over the school board's 3,000 dollar trip to Arizona, then people should be just as outraged over the city clerk's screw-up which cost taxpayer's of this city 5,000. ...oh, did I mention that Natale's screw-up violated state law? The public has a right to know about this subject so TELL THE NEWS-TIMES to stop sitting on this story and INFORM THE PUBLIC. ...and think before you vote this November. Today New Haven, tomorrow Danbury? A judge has dismissed a case against four immigrants caught up in a controversial Fair Haven raid, saying the feds trampled on their rights. Judge Michael W. Straus of U.S. Immigration Court in Hartford threw out the cases against four immigrants swept up in the June 2007 Immigration and Customs Enforcement (ICE) raid. He ruled that government agents were in “egregious violation” of the immigrants’ Fourth Amendment rights. For four individuals, the judge’s decisions marks an end to a two-year legal battle that began when Immigrations and Customs Enforcement (ICE) agents swept into Fair Haven, arresting 30 immigrants on charges of allegedly being in the country illegally. The raids prompted rallies and accusations from New Haven’s mayor on down that the feds were terrorizing the immigrant community and retaliating against the city for its immigrant-friendly policies, a charged the feds denied. Attorneys from Yale Law School have been representing 17 of those 30 immigrants. The attorneys have argued that ICE agents violated their clients’ rights by entering their homes without permission and questioning them illegally. ICE has denied the allegations. “In considering all the evidence in the record, this Court finds that the Respondent’s Fourth Amendment rights were egregiously violated,” he wrote. ICE agents told a different story of what had happened. They claimed that they had asked consent to enter, and followed appropriate procedures. However, the agents submitted their testimony by affidavit only. Government lawyers refused to call them to the stand or make them available for cross-examination. The government’s decision may have worked against ICE in the end, since Judge Straus found a number of “evidentiary omissions” in the affidavits. The holes in the affidavits were ultimately less damning than the refusal to put the agents on the stand. “The deficiencies in the Government’s threadbare submission are exacerbated by their categorical and unexplained refusal to offer or make available agents to testify in open court.” wrote Straus. “We’re all very happy with the ruling,” Anant Saraswat, a recent Yale Law graduate who has been working on the case, said Sunday. Hmm, lets see. Yale law students claim the ICE violated immigrants constitutional rights...AND WIN.